The US Government has stepped into the debate about China’s proposed ban on VPNs after reporting the new policy to the World Trade Organisation (WTO). In a statement made to the WTO’s Services Council, the US representative claimed that the new rules appeared to create significant new restrictions for cross-border service suppliers and were, therefore, something that the WTO should look at. Inevitably, the focus of the US Government’s concern is the impact that China’s VPN ban is likely to have on US businesses rather than the detrimental effect it would have to online freedom in China. Regular readers will be aware that a number of international companies operating in China have already reported suffering as a result of the ban, which has not yet formally come into place. This, of course, includes a number of American companies and it seems that US Government is not stepping in to try and protect their interests. However, it is not just these companies that the US is worried about, but those companies outside China who business with China is likely to be affected by the VPN ban. Examples they gave in their submission to the WTO include Chinese travel agents being able to access international flight information. It seems that taking this matter to the WTO is something of a last resort for the US Government. According to the South China Morning Post, Washington raised the issue with the Chinese Communist regime as far back as September last year. It seems that China has failed to act on any of the concerns raised by the US Government. This is as would be expected of course. The Chinese Communist Party has created an atmosphere of fervent nationalism in China and the idea that they would listen to the views of an overseas Government on what they consider a domestic matter was always, to say the least, optimistic. However, it is possible that the WTO could take some action against China. As the US statement notes, according to WTO rules, the Chinese regime should have notified the WTO of any measure affecting telecommunications networks, which would allow them to consult with their members on the matter. Will China pay any heed? 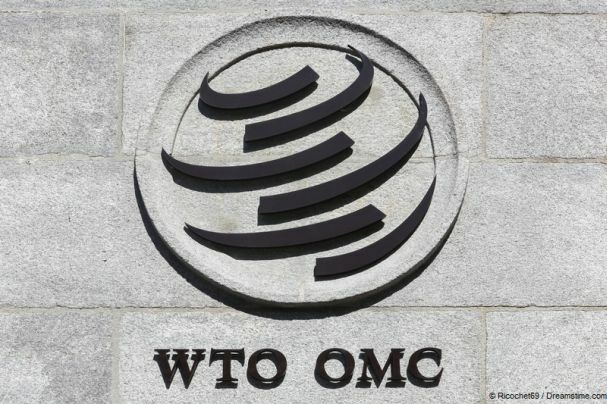 The likelihood of China bowing to even the WTO on this matter is slim, but they could face economic sanctions if they fail to comply with WTO rules and that is one language that the CCP definitely speaks. Any economic impact could have a destabilising effect and so put their grip on power at risk. So, while the US has made a bold move in speaking out on this issue, the VPN ban in China can still be expected to come into effect on 31st March, as is now scheduled. It remains to be seen how effective this will be, but many VPN providers will do everything they can to get around it. At the time of writing, there are still a number of VPNs still working in China but get in their fast as time could be about to run out for some of them.